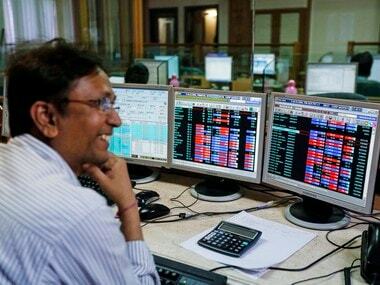 Mumbai: Market went all guns blazing after the benchmark Sensex today leaped 521 points -- its biggest single-day gain in nearly five months -- to 28,051 and the Nifty crossed the 8,600-mark on a flurry of buying amid solid overseas cues. Investors were markedly optimistic in anticipation of positive announcements on the GST front as the GST Council meeting got under way to decide on rates and slabs of the indirect tax, due to be rolled out from April 1 next year. They also stepped on the pedal to cover short positions, which led to the upmove. Besides, there are expectations that inflation will stay in the RBI comfort zone, which will usher in lower borrowing costs. 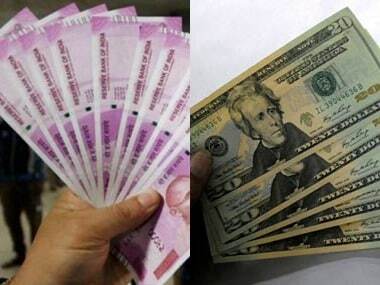 The rupee recovering against the dollar too had a positive impact. Global indices trended up after an unexpected fall in US manufacturing index tempered hopes of an interest rate hike by the Federal Reserve, brokers said. 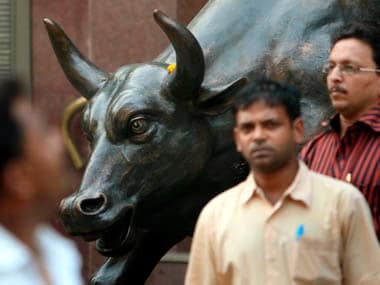 The 30-share BSE Sensex resumed higher and quickly crossed the 28,000-mark to hit a high of 28,064.39 before settling at 28,050.88, a significant gain of 520.91, or 1.89 percent. This was the biggest single-day gain since May 25 when it had gained 575.70 points. The gauge had lost 143.63 points, spooked by tepid start to second quarterly earnings and a lacklustre global trend. The NSE Nifty retook the 8,600-mark to touch a high of 8,659.80 and finally settled up 157.50 points, or 1.85 percent, at 8,677.90. 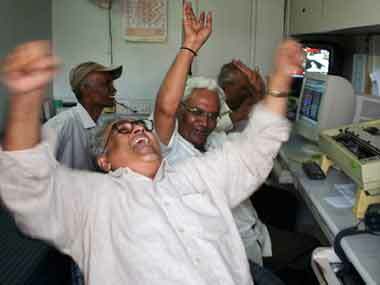 In the process, both the Sensex and the Nifty recorded their biggest single-day gain in nearly five months. Banking hogged all the limelight, with private lender ICICI Bank zooming 4.58 percent. Axis Bank rose 2.59 percent, HDFC Bank 1.58 percent while SBI gained 1.50 percent. The second-line stocks too witnessed heavy buying, lifting the mid-cap index by 1.89 per cent and small-cap by 1.30 per cent. Among sectoral indices, the banking index topped the chart by climbing 2.37 percent followed by capital goods 2.07 percent, IT 1.84 percent, metal 1.82 percent and technology 1.68 per cent. Out of the 30-share Sensex pack, 28 scrips ended with gains while ONGC and Asian Paint registered losses. Foreign portfolio investors (FPIs) sold shares worth a net Rs 456.64 crore on yesterday, showed provisional data. Elsewhere, other Asian markets also ended higher with Japan's Nikkei up 0.38 percent, Hong Kong's Hang Seng 1.55 percent and Shanghai Composite 1.40 percent. European markets also opened on a positive note, tracking gains in Asian trading amid a slide in the US dollar ahead of US inflation data. London's FTSE, Paris CAC 40 and Frankfurt's DAX 30 all gained up to 1.21 percent in their early deals. "The market bounced back led by short covering on the starting day of the GST council. Market sensed a bargaining opportunity due to the correction which has happened in the last two weeks while the outcome from the event is likely to be positive," said Vinod Nair, Head of Research, Geojit BNP Paribas Financial Services. US stocks registered small losses yesterday amid falling oil prices as investors digested a number of corporate results, key economic data and remarks from a key Federal Reserve official. The market breadth turned positive as 1,905 stocks ended in green, 926 closed in the red while 206 ruled steady. 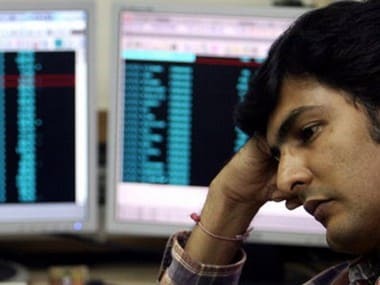 The total turnover on BSE amounted to Rs 3,703.61 crore, lower than turnover of Rs 3,884.29 crore registered during the previous trading session.